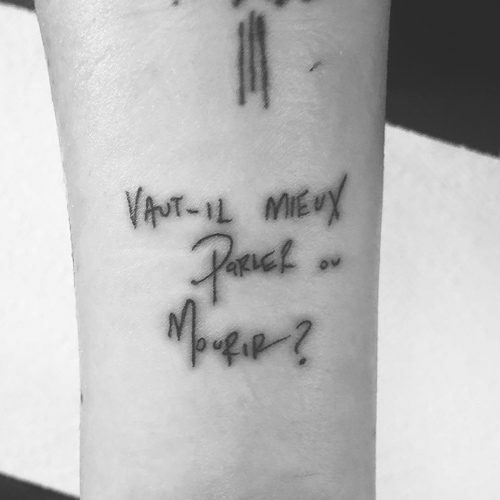 Bishop Briggs got an ink of her handwriting with the French quote “Vaut-il mieux parler ou mourir?” – which is a line from movie Call Me By Your Name and it means “is it better to speak or die?”. 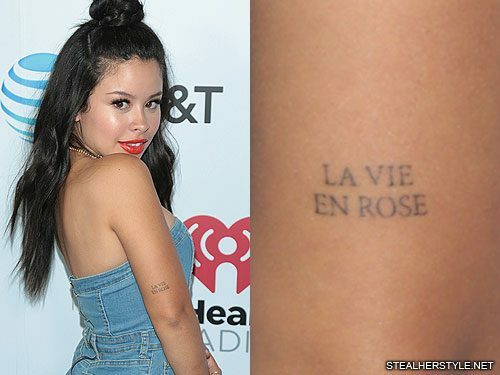 Cierra Ramirez appeared at Wango Tango on June 2, 2018 with a never before seen tattoo on her arm. 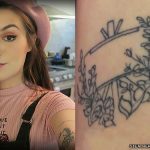 The fresh ink is of the French saying “La Vie en Rose” which means “Life in Pink.” It is an analogy for seeing things optimistically, as through rose-colored glasses. 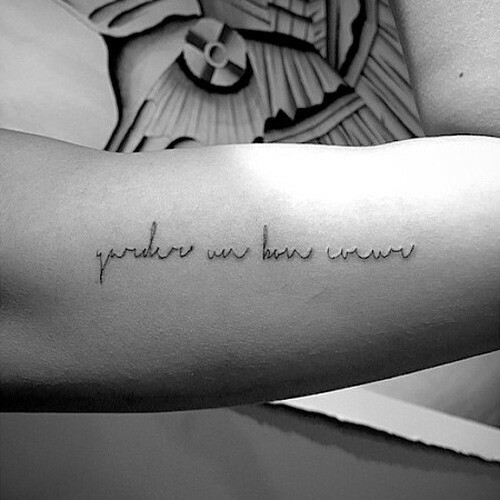 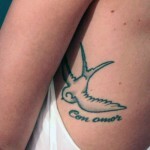 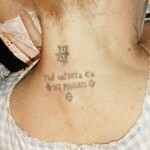 The words are tattooed in thin capital letters on the back of her upper right arm. 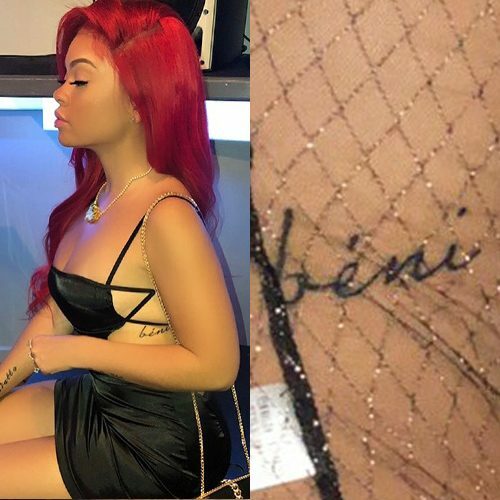 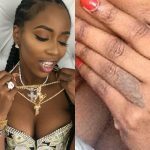 Reginae Carter has a French word inked on the right side of her stomach by Jon Boy. 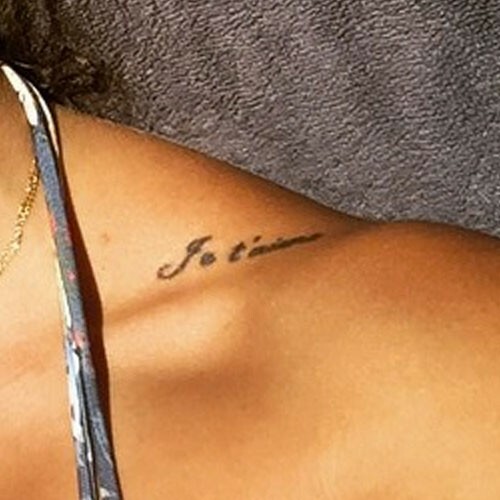 The tattoo says “foncedé” which means high or stoned. 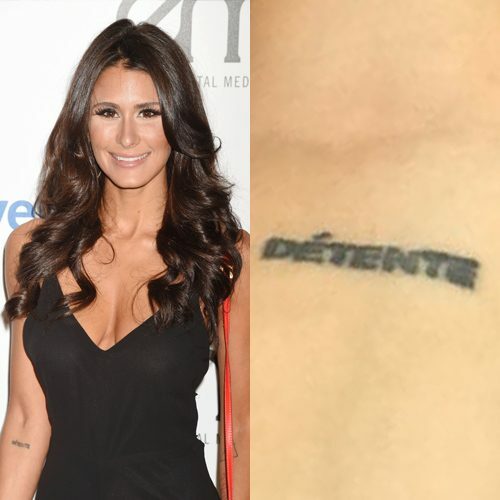 Brittany Furlan has a tattoo on her right elbow that says “Detente” which means the relaxation of tension in French. 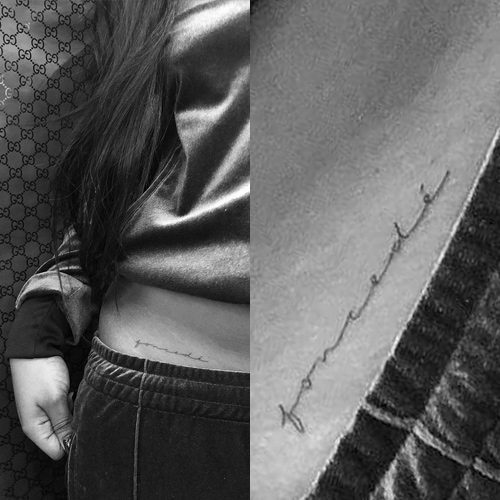 In September 2011, Ashley Tisdale went with best friend Vanessa Hudgens to get tattooed by Bang Bang – who’s also inked the likes of Rihanna and Katy Perry. 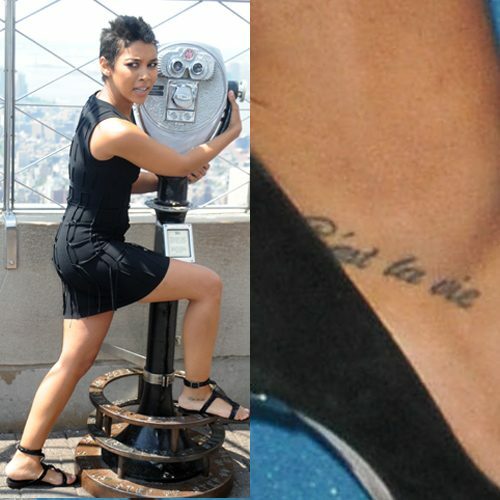 They didn’t opt for matching tattoos, instead Ashley got “jamais seule” tattooed on her foot, which is a French phrase meaning “never alone”, and Vanessa got the “Om” symbol on her hands. 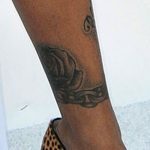 Ashley got the tattoo carefully placed so that it shows even when she is wearing heels.